Markus Bläser is a full professor of computer science at Saarland University, Saarbrücken, Germany. Before joining Saarbrücken, he was an assistant professor at ETH Zurich. He obtained his Ph.D. from the University of Bonn under the supervision of Arnold Schönhage and his Habilitation from the University of Lübeck under the supervision of Rüdiger Reischuk. 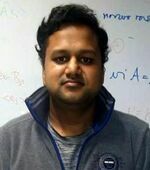 Gorav Jindal did his undergraduate studies at the Computer Science department of IIT Delhi. He did his master studies at the Computer Science department of Saarland University. 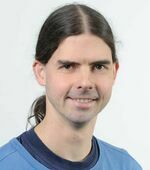 Since 2014, he has been a Ph.D. student at the Max-Planck-Institut für Informatik under the supervision of Markus Bläser. Gorav's research interests lie in algebraic complexity theory, computer algebra and lower bounds in general. Anurag Pandey did his bachelor's and master's studies at the Electrical Engineering department of IIT Kanpur. His master's thesis was supervised by Nitin Saxena. Since 2015, he has been a Ph.D. student at Max-Planck-Institut für Informatik under the supervision of Markus Bläser. 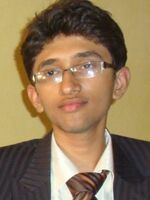 Anurag's research interests mostly revolve around algebraic complexity theory.